Top Bow Storage Strap Set. 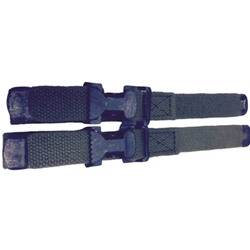 These are new US production strap per original specs and use NOS cotton webbing we sourced. They do not show in the manual since they are considered part of the top bow set. Late contract M151A2's used nylon straps not cotton.